Grilled Bacon and Cheese Smashed Potatoes are the best summer side dish. They’re mouth watering, really easy to make and will please everyone. 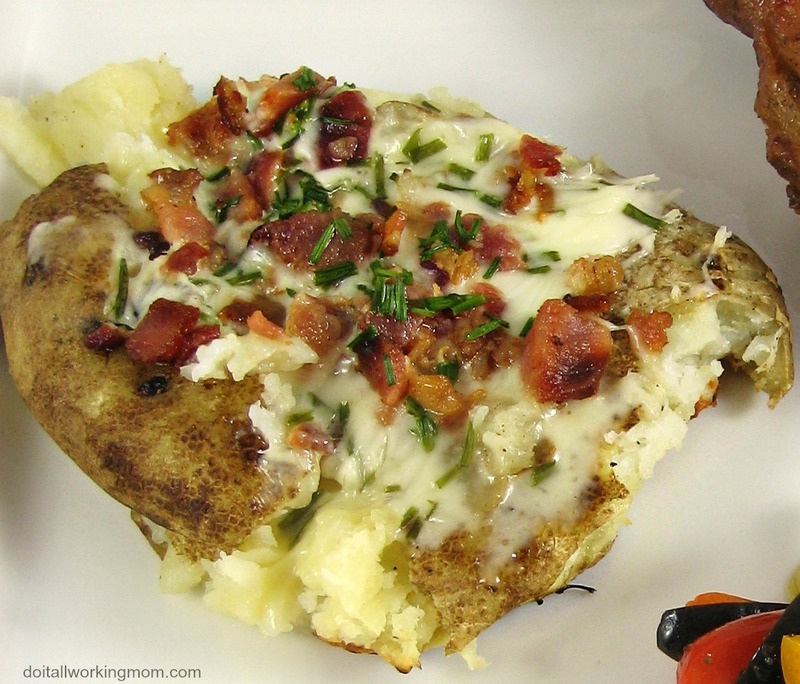 What’s not to like about a potato covered with cheese and bacon? Simply delicious! Poke holes in the potatoes with a fork. 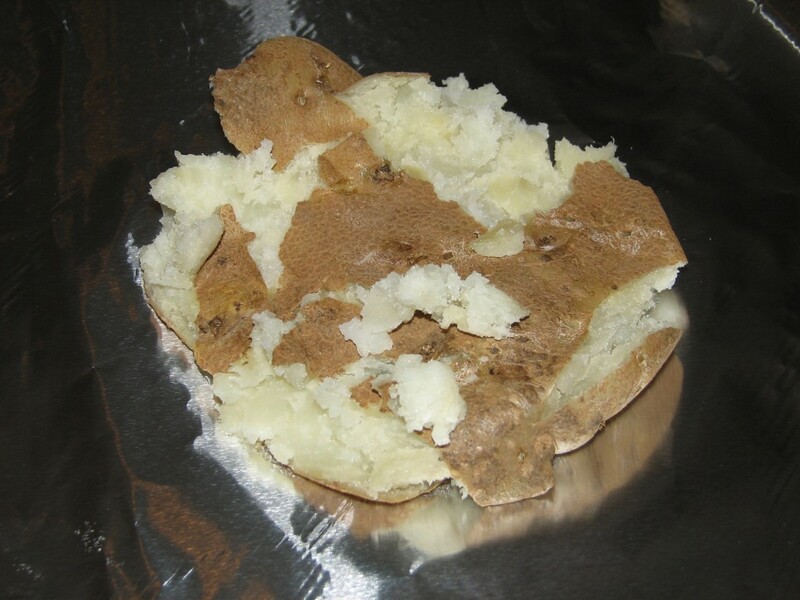 Place the potatoes in a plate and microwave for 10 minutes at high heat. Remove potatoes from the microwave and place them on 4 large pieces of aluminium paper. Smash the potatoes using a potato masher. Cover each potato with 1 tablespoon of grated cheese, 1/2 a tablespoon of bacon crumbles, chives, a sprinkle of garlic salt and pepper. Close the aluminium foil making sure you leave space at the top so the cheese doesn’t stick to the aluminium paper. Cook for 10 minutes on the grill at low heat. Top with sour cream (optional) and serve. 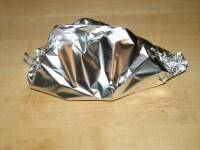 Close the aluminium foil making sure you leave space at the top so the cheese doesn't stick to the aluminium paper. 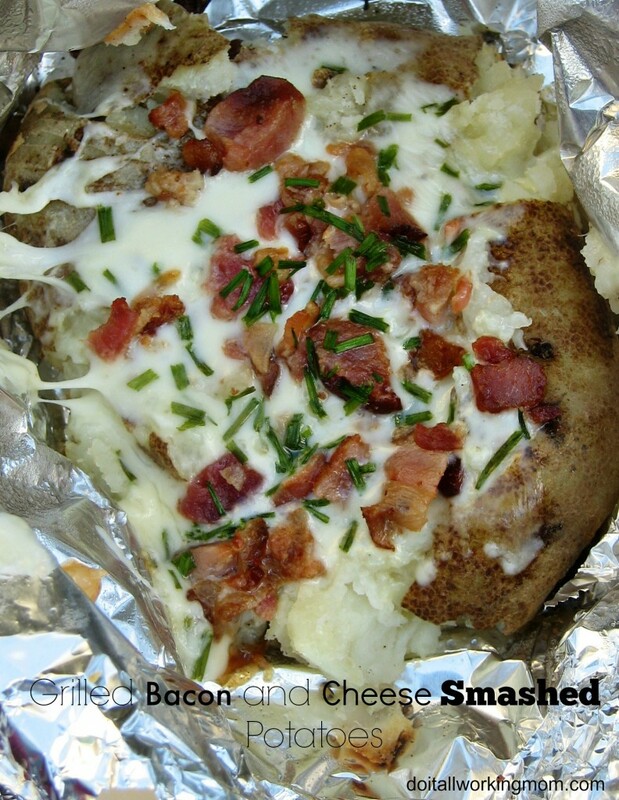 Serve my Grilled Bacon and cheese Smashed potatoes with one of these delicious grilled main course. Visit My King Cook for different ways to make mashed potatoes.